Alien is the card that opens the door to the hidden, obscure forces within ourselves. Often associated with material greed and brute sexual drives, Alien is also the card of great creativity and imagination. 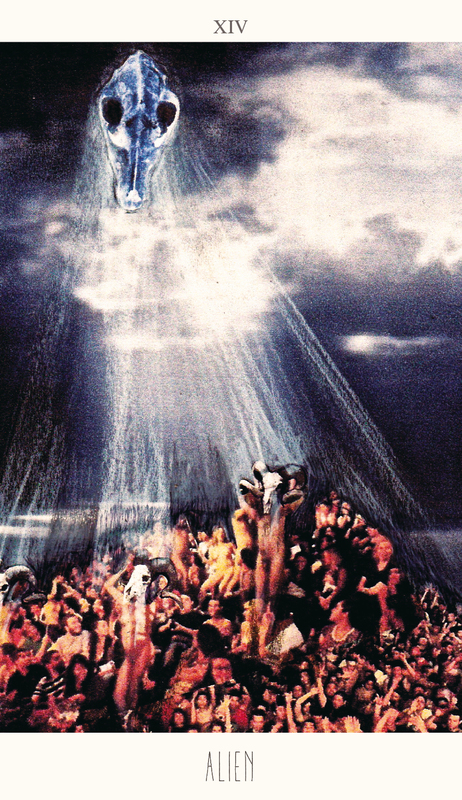 In the image we see a crowd of people, most of them naked, celebrating the apparition of a skull in the sky. This skull is definitely not human, and this fact points out the blurring of boundaries between human and animal, between the ‘cultured’ persona and the ‘animal’ drives that push us forward. 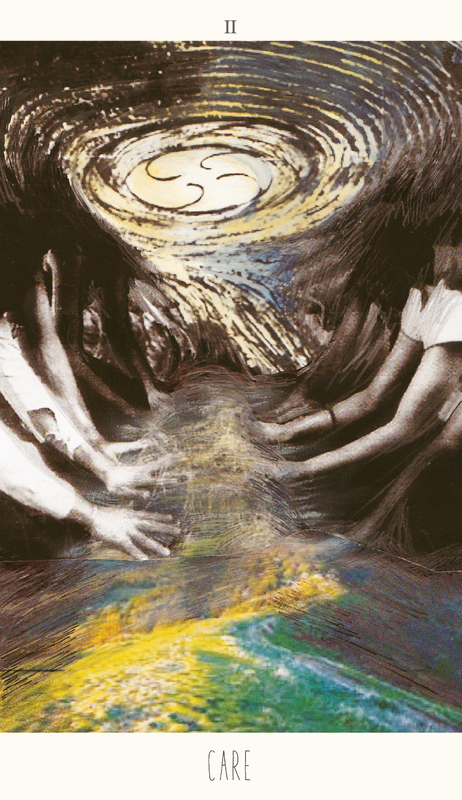 Care in the Tarot of Hope comes just after Affect: the moment we become touched again by what surrounds us. Care is the card that emphasizes the need to become aware of our environments and the role they play in who and what we are. At this point of the journey of hope, this is primarily a physical undertaking: care is about opening up your senses, and all your sensitivity, to the world around you.